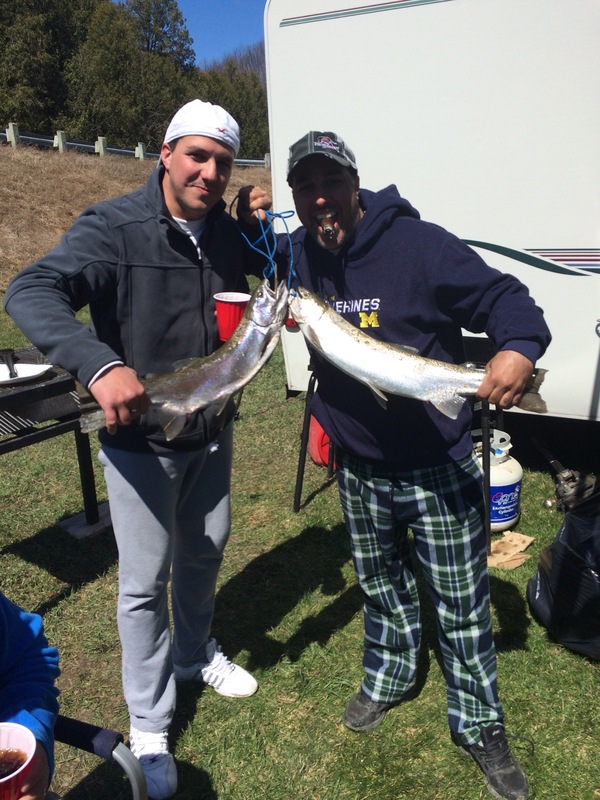 There were plenty of happy fishermen on opening day this year. 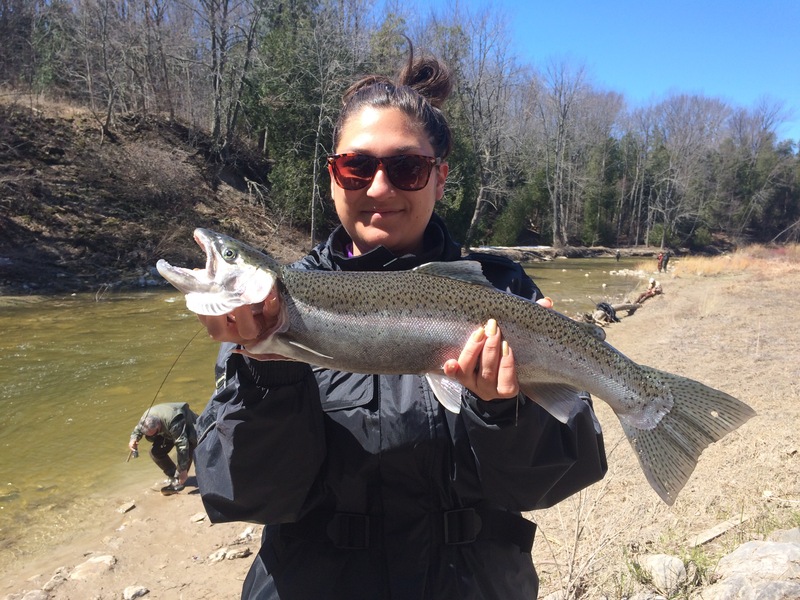 river for opening fishing weekend (always the 4th Saturday in April for Zone 16 which is most of Southwestern Ontario). I went looking to catch a fish, but I caught much more than that! One of my first memories as a child is ice fishing on a small lake in northern British Columbia with my family. I’m fairly sure I spent more time looking down the holes in the ice and gallivanting around the snow-covered lake than actually fishing. 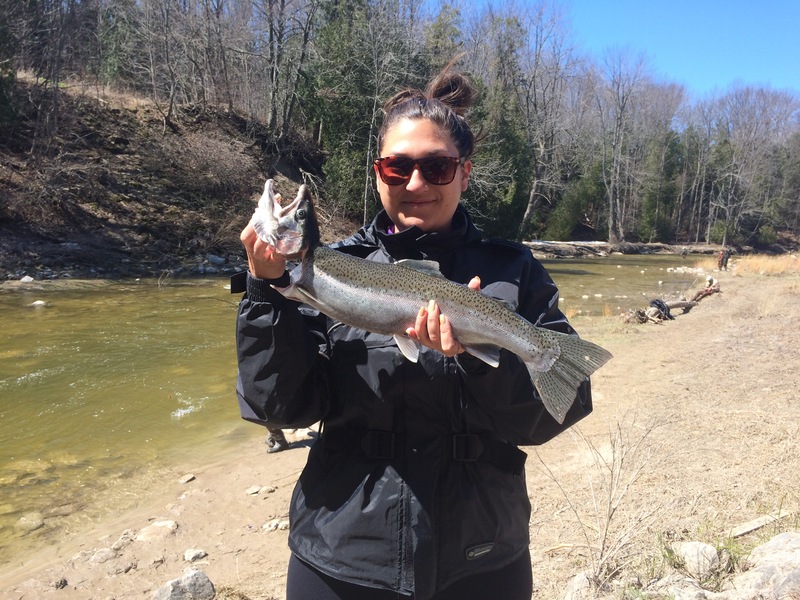 After moving to Goderich, I gave up fishing and moved on to different hobbies! 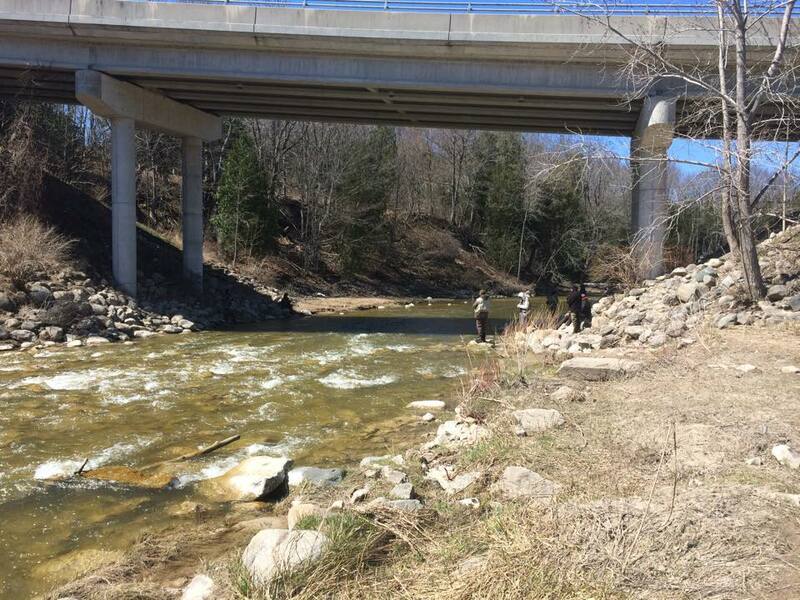 Living in the hamlet of Port Albert, Ontario, I had heard we have some really great fishing, especially along the Nine Mile River. I woke up early(ish) and headed down to the river. I was amazed at the number of vehicles in the parking lot near the bridge. 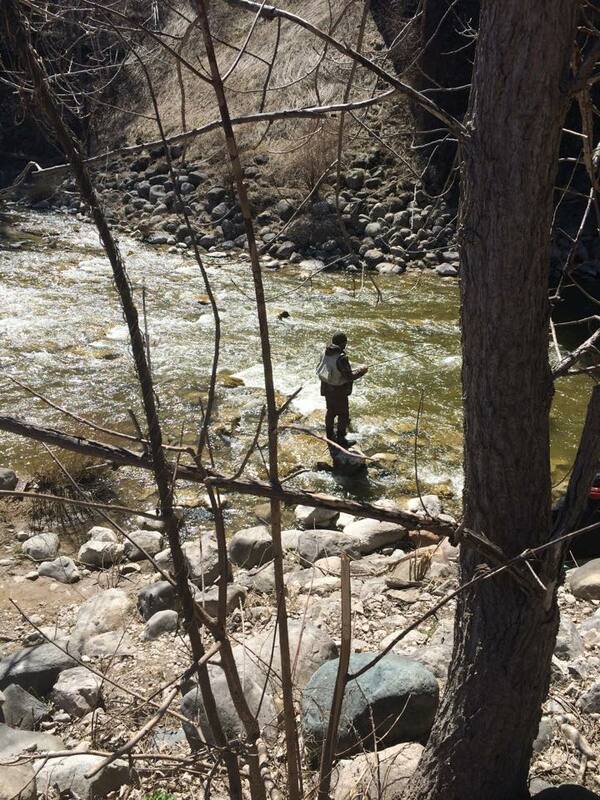 There were cars, trucks, trailers and lawn chairs set up, showing me that there must be many fishermen along the river. doing I ran into a fisherman carrying a fish he had just caught. I was super excited and asked him if I could take a photo. He then took a photo of me holding the fish… this is when I learned how not to hold a fish (the above photo is how not to hold a fish, the below photo is kind of how you’re supposed to hold a fish). fishermen who were taking a break and asked if they could share some fishing knowledge with me. They were a super welcoming group handing me yummy Italian style charcuterie and beverages and giving me a comfy place to sit. My first question was: What kind of fish are running right now? 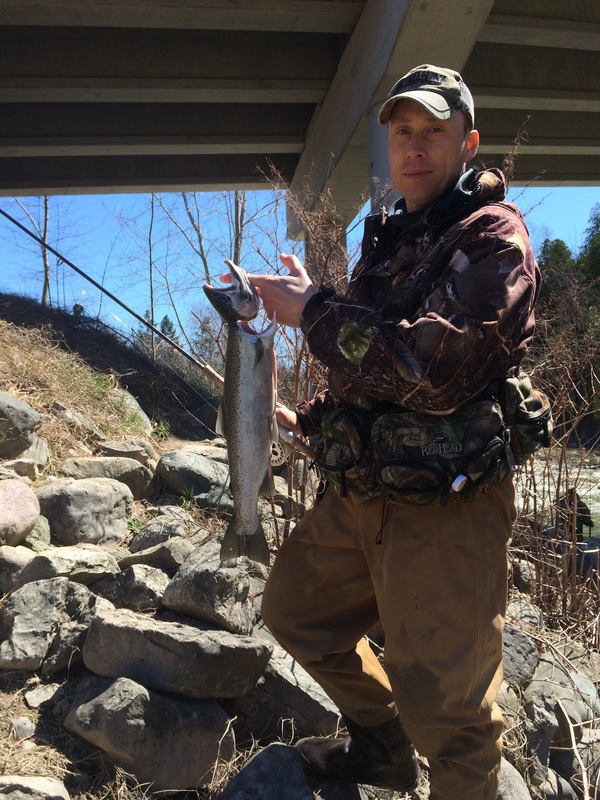 With a response of – Steelhead Trout! My second question was: How many fish are you allowed to catch? And the responses to this question got a little muddy. So I decided that I would do more research later on. 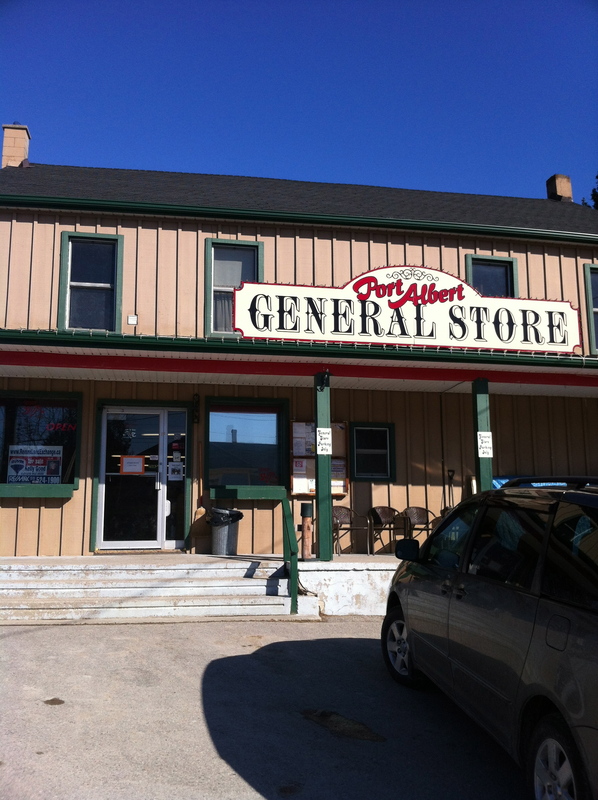 Another amazing asset to the area is the Port Albert General Store. I stopped in to check in with Steve, Brigitte and Angus and found the store filled with customers purchasing everything from pizza to snacks to bait and fishing gear. This store has truly embraced the community. They offer wonderful food, gas, convenience items and more. One of my favourite offers they have is their farmer’s market, which runs from May to October, but I’ll save that story for later. So in the end, I really didn’t go fishing, but I made some new friends and found out some great fishing information! I also found out that there are quite a few rules for fishing, which can all be found online. Find out more about outdoor recreation and other activities that make Ontario’s West Coast an ideal family getaway, by visiting online. The Port Albert bridge is a fine place to pass time fishing. 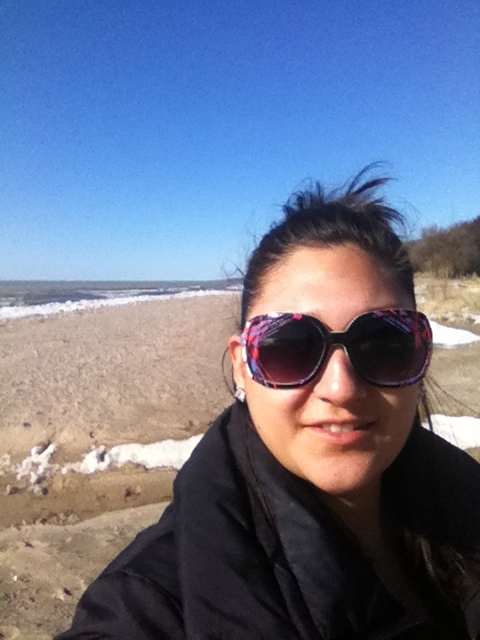 Last Sunday was a glorious sunny day and perfect for a walk around my cute little town of Port Albert, Ontario! 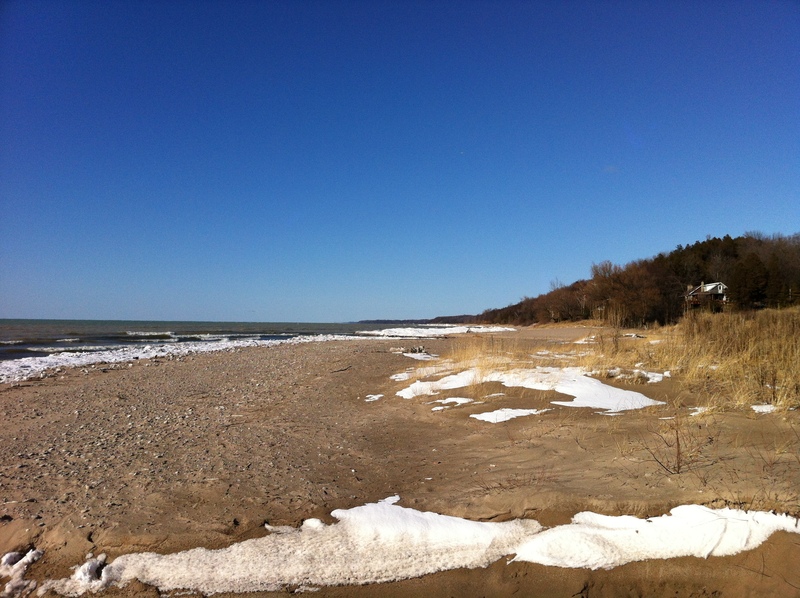 I first went to the beach, I was totally prepared for ice jams and lots of snow, but apparently the warmer weather quickly melted that away. I won’t say that spring on the beach is my favourite time of year, as I would prefer to be playing in the sand and swimming, but this day helped me see the end to winter and beginning of beach days! 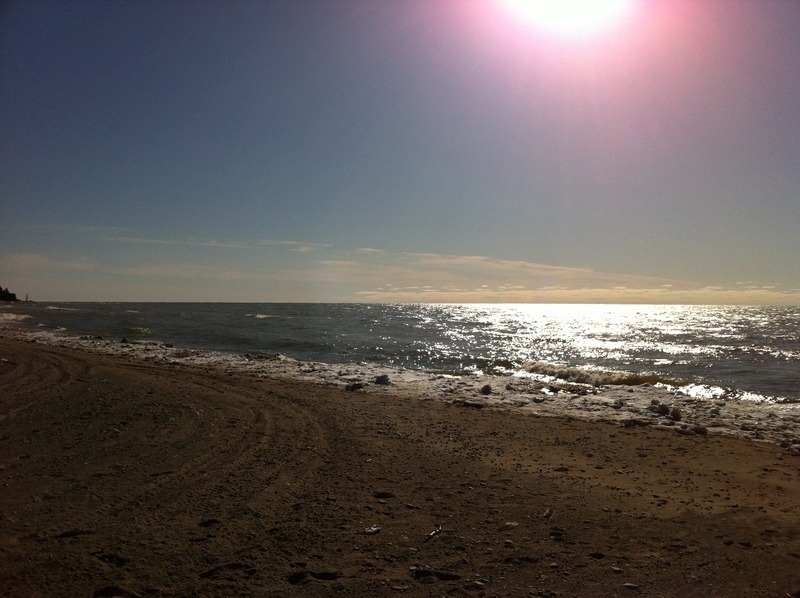 The views and vistas in Port Albert are wonderful and I love watching the famous Lake Huron Sunsets. After my beach visit, I headed up the road over the bridge and past the Port Albert Fishway to the Port Albert Store. 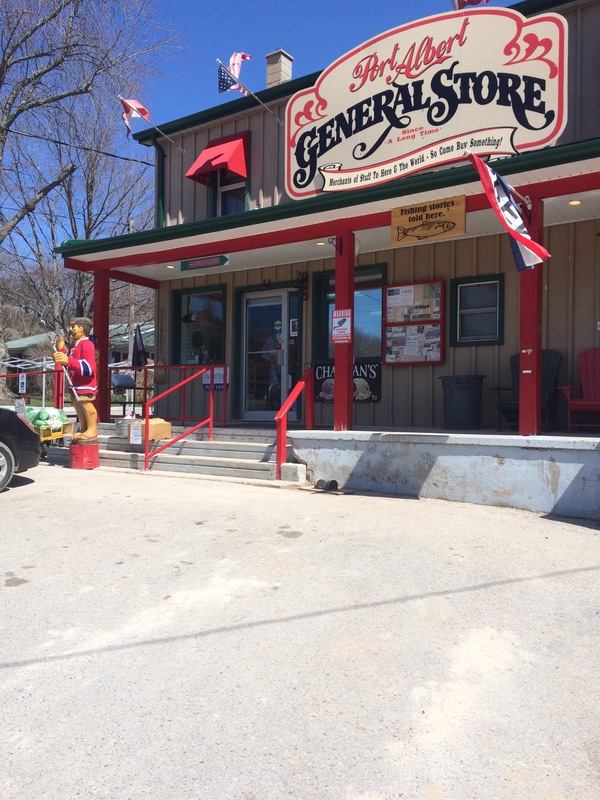 This little convenience store is great all year round. Not only do they get in fresh vegetable in the summer along with dairy, frozen food, chips, pop, movies and fly fishing supplies, they have great pizza! The past week I have been hearing snowmobiles driving around very close to my house, not late at night, but loud enough for me to wonder if there was something going on. A friend dropped by the other day and filled me in on why the evening motor sounds have been happening. 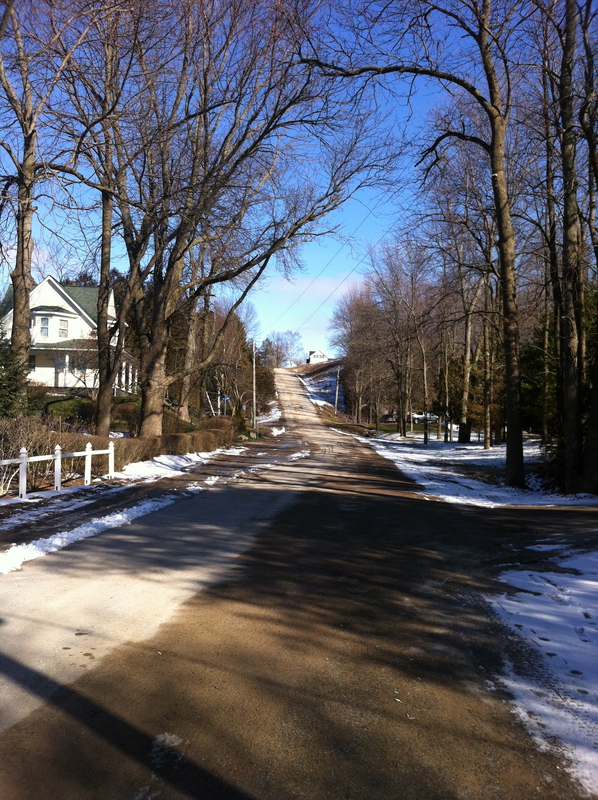 The snowmobile trail has been re-routed to go right past the Port Albert Store, which is right at my doorstep! Yes, Divas do like to snowmobile! My main interest was the fact that now Port Albert, Ontario will be a happening spot, not only in the summer, but in the winter too. 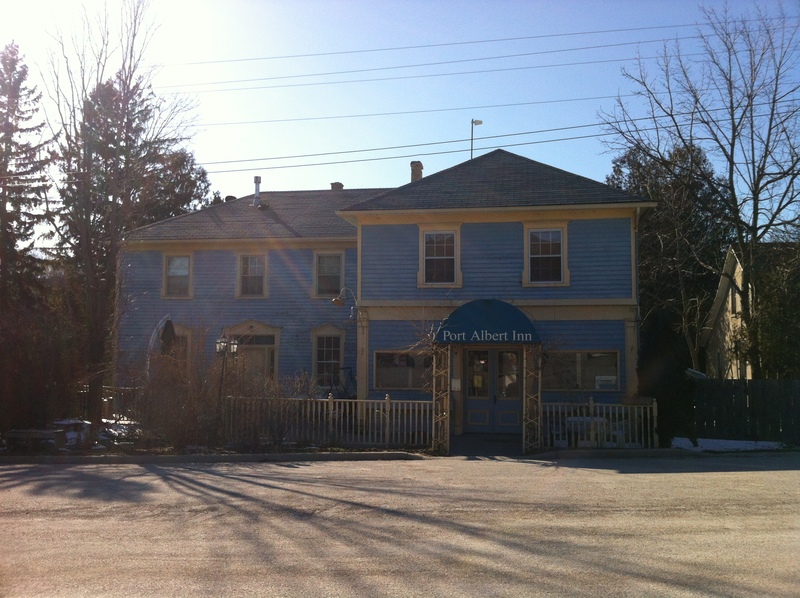 I hear that the Port Albert Inn plans to have chili nights and the Port Albert store has fuel, pizza, snacks and more.